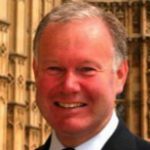 Charles Hendry was Conservative Member of Parliament for Wealden from 2001-2015 and was UK Minister of State for Energy and Climate Change from May 2010 until September 2012. He was previously the Conservative Party’s spokesperson on energy issues, from 2005-2010, holding the portfolio for longer than any other spokesman. On leaving Ministerial office he was appointed as Trade Envoy to Azerbaijan, Kazakhstan and Turkmenistan by the then Prime Minister David Cameron, a role he continued until he left Parliament in 2015. He is a regular visitor to the countries of the former Soviet Union, focussing on trade and investment, as well as on social, educational and cultural links. Charles Hendry is an Honorary Professor at the University of Edinburgh Business School, President of the British Institute of Energy Economics, and Patron of the Nuclear Institute. He led the review into the Swansea Bay tidal lagoon power scheme reporting in 2017 and has served as chairman of offshore wind turbine consortium, Forewind. He works extensively across the energy and trade sectors and in 2018 was appointed to chair the new User Group for Scottish Power Energy Networks. Charles was educated at the University of Edinburgh, where he received an Honours Degree in Business Studies. He is a University Regent and is an Honorary Fellow of the Energy Institute.